America is an Arctic Nation. 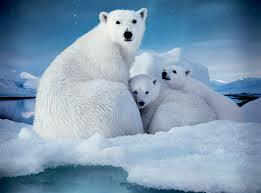 Alaska is rich in arctic wildlife. On February 14, Secretary of State John Kerry announced that the United States would soon name a Special Representative for the Arctic Region. While I am encouraged that in his announcement Secretary Kerry recognized the need to make the Arctic a higher U.S. priority and to elevate our attention and efforts in the region, it is not clear to me what the position’s scope of authority, both within the State Department and amongst the international community, will be. It is also important to recognize that merely naming a representative is not enough. We must also commit resources to the region to obtain the benefits, and address the challenges, that come from being an Arctic Nation.